This week a record number of delegates travelled to Liverpool for the Labour Conference. Labour doesn’t just have more members than all the other political parties in the UK put together, we have more women members than the total membership of the Conservatives and Liberal Democrats put together, and we are by far the biggest political party in Europe. The Labour Party genuinely reflects the make-up of our society, including middle-aged white men like me, women of all ages, young people, members of ethnic minorities and disabled people. It is no great surprise to me that so many people want to join our party. Labour is the Party that believes in the police, in schools, in our health service, believes in paying a decent wage for a decent day’s work, building the houses our young families need, protecting the elderly and more vulnerable with affordable social care, and is determined to make our country more equal, giving help to those who need it and demanding that the very rich pay their taxes. Labour Conference of course reaffirmed its commitment to a fairer Britain, as laid out in our Manifesto for the last General Election, but we also had two important issues to discuss which had led to uncertainty in our Party over the past year. The first of these was about how we can be more democratic. This really matters – when people voted Labour in the last election they had a right to expect that we meant what we said in our manifesto – and we did. Unfortunately, while voters in Ipswich decided that our promise for society was what they were hoping for, there were not quite enough other constituencies where the majority had the same view. But while we are in opposition for the moment, we are certainly not going to ditch our promises. 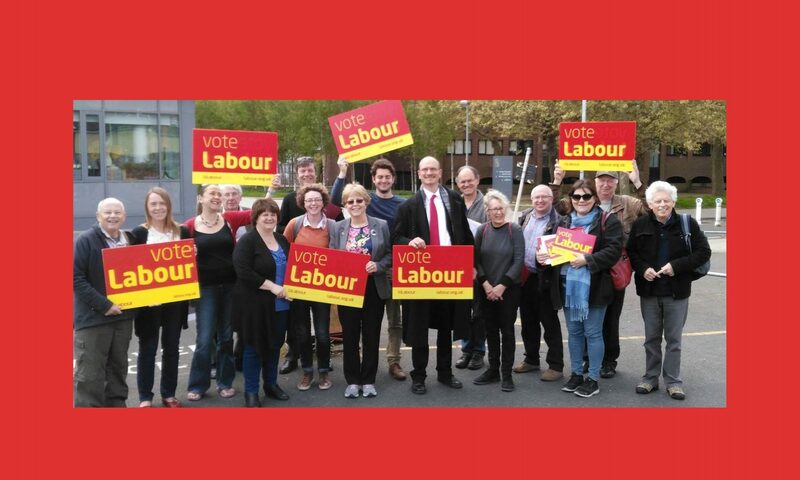 With the new democratic systems in place, I am confident I can work with my own party to refine those promises, to produce an even better manifesto for the next election, and to retain the confidence of voters in Ipswich whether or not they are Labour members. The other big issue we needed to resolve was our position on Brexit. We are not in Government and so we can’t decide what will happen. What we can and must do is to continue to fight for the things which we know matter to British people whether they voted Leave or Remain. Nobody voted to destroy British industry or British agriculture, nobody voted for fewer jobs or less protection for their rights or the environment. That is why we insisted right from the start that the Government’s Brexit deal must safeguard those things, things which the Brexit campaigners themselves insisted were perfectly possible. Now it is apparent that the Conservatives are incapable of producing a Brexit deal that meets those tests. We look likely to have a choice between a bad deal or no deal. That is a threat to our whole economy, and to tens of thousands of skilled jobs here in Britain. Labour will continue to campaign for a Brexit deal which safeguards our jobs and living standards, but realistically we are not expecting the present government to negotiate that. We will not vote for any deal – including the supposed “Chequers deal” which is not even supported by the Conservative back-benchers – unless it is one which will not destroy people’s jobs and livelihoods. We want another General Election now because we want to end austerity now, restore Police Officers and nurses and teachers to their jobs now, bring in free childcare for all working parents now, invest in houses for families now, raise the minimum wage now. I, alongside my Labour colleagues, will continue to fight for those things, but we will not achieve them until we have a Labour Government. So we will be ready for the next General Election, whenever it comes, and meanwhile we continue to grow our movement to make sure that we can build that better Britain together.